"In the past, non-practicing entities (NPEs) - firms that license patents without producing goods - have facilitated technology markets and increased rents for small inventors. Is this also true for today’s NPEs? 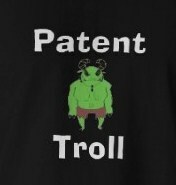 Or are they “patent trolls” who opportunistically litigate over software patents with unpredictable boundaries? Using stock market event studies around patent lawsuit filings, we find that NPE lawsuits are associated with half a trillion dollars of lost wealth to defendants from 1990 through 2010, mostly from technology companies. Moreover, very little of this loss represents a transfer to small inventors. Instead, it implies reduced innovation incentives". This 33-page paper can be accessed via SSRN here. The paper appears well-researched and is quite persuasive -- but this blogger is not economically gifted and he wonders how it appears to other economists. Also, he wonders why all the debate, and apparently all the numbers-based research, seems to be related to the United States. How does the troll model which is used here fare when measured against, for example, European patent litigation patterns? Can anyone help? This blog is happy to host reviews and comments on this paper. Hi Jeremy, I had posted some remarks on this on PatLit a few weeks ago. I am not an economist but this approach does not really convice me because it presumes that the variations in stock market prices are entirely due to the "damages" caused by "trolls" rather than to the actual act of infringing IP rights - for which the right-holding trolls are not to blame. Thanks, Michael. I had a slight sense of deja-vu when I saw the title but, convinced I would have read it on IP Finance, I erroneously looked for it there! I’m afraid I don’t agree with Michael’s comment. The finding regarding loss of wealth is explicitly a finding as to “the loss of wealth that occurs upon a lawsuit filing” (p15). This is entirely consistent with the loss of wealth being due to infringement. The question is not whether right-holding trolls are to blame, it is whether the patent litigation promotes innovation. The point of the article is that patent litigation does not promote innovation if inventors do not receive some significant part of the proceeds of litigation; or, more precisely, it is unlikely that there is a net social benefit if the loss to the defendant is far greater than the amount received by inventors. After arriving at the estimate of the loss to defendant, the article then goes on to discuss whether “this private loss of wealth to the defendants is also a loss to society or not” (p16). Private loss of wealth to defendants is not a loss to society if there is a sufficient counterbalancing effect on incentives to innovate. The authors conclude there is not. You might disagree with that part of their analysis, but they are not guilty of assuming the answer to their question. I (partly) agree, Norman. What is calculated in the body of the article is consistent with "the costs of the infringement". However, the title mentions only the trolls. What I wanted to say is that it takes two to tango. The study calculates the "social costs" of litigation basically as a difference between the drop in the stock market price of the defendant after the publication and the actual "transfers", i.e. what is finally paid as damages, royalties and attorney's fees. There is a huge gap between these numbers - I presume not only when NPEs are involved. What does this prove? First of all, it proves that the stock markets react hysterically when it comes to patent litigation. If one really wants to blame the litigants for this hysteric reaction, then one should blame both of them with equal shares. I do not see any particular reason to impose these "social costs" entirely to the "Trolls" and not at least partially to the actual patent infringer. As already said, it takes two to tango. The final conclusion of the article that the costs are not to the benefit of innovation is an entirely predictable result of the definition of NPE's, which are likely to be investors having acquired patents and which do not conduct R&D themselves, wheras defendants are liekly to be practicing entities because otherwise they would not infringe. As a rule, practicing entities do invest in R&D. The authors conclude that the money transferred from defendant to NPE will reduce the R&D investments of the defendant and not increase direct R&D investments at the plaintiff's side. I presume that it is part of the business model of the "trolls" to use the proceeds of one litigation to buy furhter patents. This would then promote the innovation at least indirectly. The presumtion that the trolls are only interested in "obscure" and "vague, over-reaching patents" in the field of software is in obvious contradiction with the experience that any invesor seeks to acquire assets with a substantial value and not worthless tat. However, there is a premium to NPEs in seeking to enforce vague and/or over-reaching patent claims, in that such claims can be much much more difficult and expensive to invalidate than more usual types of claims. As just one example, consider a claim that includes, as an explicit limitation, a feature that is very likely INHERENT but not explicitly disclosed in a prior art product or method. Assuming the patent applicant has gotten the claim through the Patent Office, the burden is then on the defendant to prove that the limitation is indeed inherent in the prior art. There are also well-known examples of over-general claims being asserted by NPEs (e.g. the Housey patents). So perhaps part of the value of SOME patents to litigation-minded NPEs is the fact that the claims ARE over-reaching in some way that is very difficult to invalidate. Michael, you say “First of all, it proves that the stock markets react hysterically when it comes to patent litigation.” They consider the hypothesis of overreaction. While they do not reject it outright, they note that the initial wealth loss reflected in a 5 day window is not corrected within a 25 day window (p12). Of course, it is possible that the hysteria continues longer than that, though presumably it would be difficult to test as the longer the window, the more likely it is that other intervening factors will affect share price. But in light of their comparison of the 5 day v 25 day window, I think they have shifted the empirical burden to those who would argue that the share price fall is a result of overreaction. It is not enough of a rebuttal to raise the point, without supporting evidence to counter the evidence they have provided. “I do not see any particular reason to impose these "social costs" entirely to the "Trolls" and not at least partially to the actual patent infringer.” It doesn’t matter who is to blame for the costs. The question is whether this activity promotes innovation, regardless of who is responsible. “I presume that it is part of the business model of the "trolls" to use the proceeds of one litigation to buy furhter patents. This would then promote the innovation at least indirectly.” The authors explicitly consider the possibility that the purchase of patents by NPEs promotes innovation indirectly: “Of course, NPE litigation might also produce dynamic gains in social welfare if transfers to independent inventors increase innovation incentives” (p19). They conclude it does not, for three reasons (p20), primarily that the loss to the defendant firms are on the order of 50-100 times greater than the transfer to independent inventors whose patents have been purchased. They surmise that the net negative innovation effect on the defendant firms is likely to be greater than the positive incentive effect on independent inventors. This seems plausible, given their estimates, which you do not challenge. I suggest that here again they have provided enough evidence that the burden has shifted to show by empirical evidence, not simply as a matter of theory, that the transfers by NPEs to inventors provide sufficient incentives to innovate to offset the losses to defendant firms.